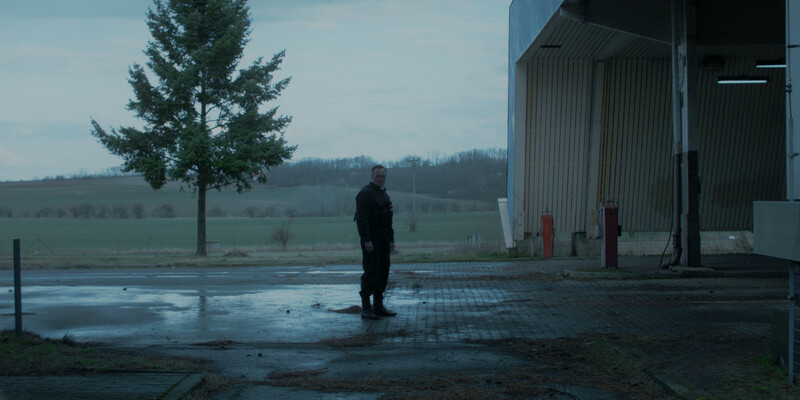 During a random check the commander of a Czech Customs Unit discovers a group of immigrants in a van’s cargo area. The chaotic incident is taken advantage of by an underage boy who flees into the surrounding forests. The order is to keep the group in makeshift space and to find the boy. But the boy’s father refuses to co-operate with the search and the unit’s members start being aggressive towards the detained men. The commander tries to deal with the ensuing situation according to the rules but slowly he becomes undecided whether to follow orders or his own conscience. A night which shakes his faith in the system he represents.